Every once in a while, a book comes along that is packed with so much good information that you want to share it with everyone. In this case, that means everyone who is planning a library construction project. 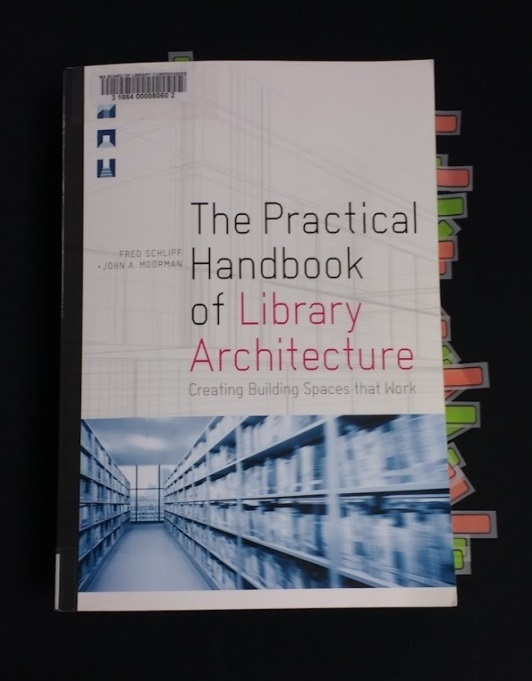 The Practical Handbook of Library Architecture: Creating Building Spaces that Work by Fred Schlipf and John A Moorman (ALA, 2018) is the book. To be honest, it’s a little intimidating at nearly 1,000 pages, but don’t let that stop you. The authors are librarians who have decades of experience with library design and construction from the librarian’s point of view, and they’ve put it all down in black and white with humor and style. Chapter Two is entitled “More than Two Hundred Snappy Rules for Good and Evil in Library Architecture” – need I say more? Topics run the gamut from the 10,000 foot view (overviews of the design and construction processes) to the granular (the wording for the plaque that goes in the lobby), and everything in between. There’s even a chapter called “Evaluating Library Buildings by Walking Around” that’s great for assessing an existing facility. You can see from the photo that I started flagging important passages, but after a few chapters I had to stop because I was running out of flags. 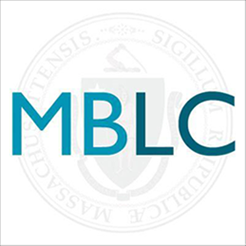 This is a book that former MBLC Construction Specialist Patience Jackson could have written, for those of you who know her. It’s the book I wish I had written, with a few minor exceptions – the information is unrelentingly practical, and I admit that my training as an architect rears its head at times. One example: the section on page 103 where the authors rail against what they call “designer staircases.” I do love a dramatic stairway. You can download the Table of Contents and the “Two Hundred Snappy Rules” in PDF for free from the ALA Editions website. This is not an inexpensive book, but we are in the process of ordering two more copies to circulate for our professional collection. Contact Lauren Stara if you have any questions.